Burke’s Last Witness is a poignant haunting psychological drama which delves into the mind of notorious serial killer William Burke as he awaits his execution. Using accounts from his 2-day trial in 1828, this telling of the story will challenge the common perception about who the main protagonist was in the deadly partnership between William Burke and William Hare. Burke is not a simple retelling of the duo's 16 murders. Set in the death-cell of cold, dank Calton Jail days before his execution in front of 25,000 people, Burke languishes with only his jailor Captain Rose for company. This chilling novella follows the last few days of Burke’s life as he awaits his public execution. Chained and racked with cancerous tumours Burke unburdens himself to the honourable Captain Rose who strives to understand why these two men committed such atrocities. 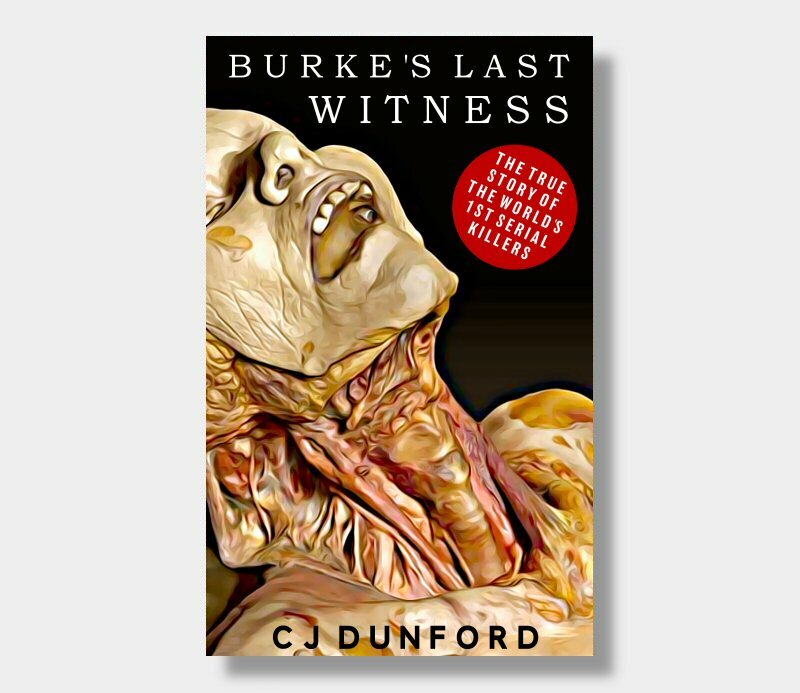 Burke’s Last Witness is an novella developed from the popular play (also written by CJ Dunford) which has toured widely and to great critical acclaim. Get special offers on books & merch plus VIP invites to all the coolest Fahrenheit parties and meet-ups around the world.